There are therefore consistent plans to ‘Judify’ the Galilee, Jerusalem and the Negev. 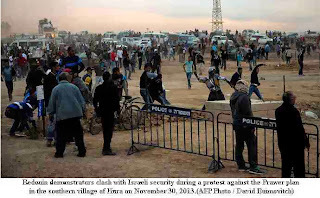 In the Negev the plans are to evict up to 70,000 Bedouin from their ancestral lands and force them from their ‘unrecognised’ villages into slum and shanty towns. 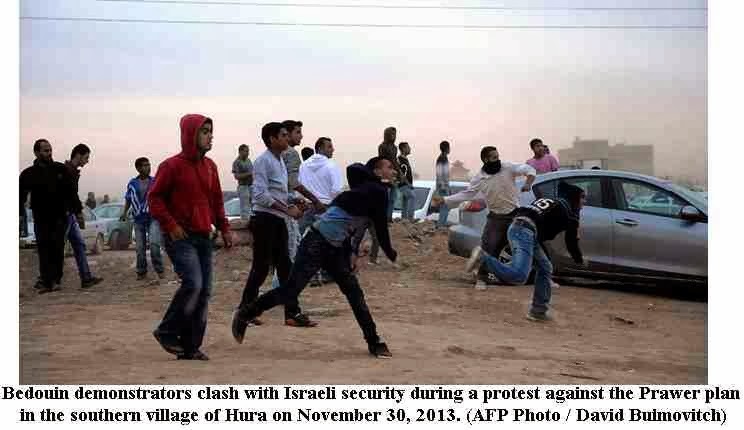 Half of the Arab villages in Israel are ‘unrecognised and have not no running water or other facilities. It is a testament to the fact that Israel considers all Israeli Palestinians ‘temporary’ and not belonging as an equal part of the state. 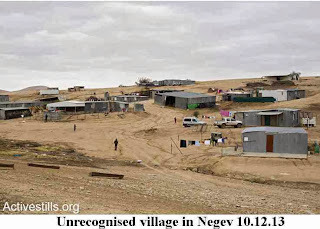 The ‘Jewish’ towns in the Negev will be exactly that, just as Upper Nazareth was intended. Non-Jews are not wanted. The plan for the Negev that has been rejected as a result of massive pressure is the Prawer Plan. It is likely to be resurrected. 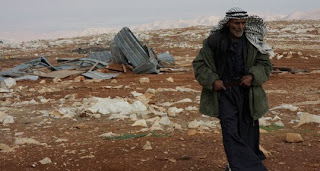 The Jewish National Fund will no doubt plant trees and forests over their remains, as befits the new ‘ecological racists.’ Al Arakhib village has been demolished over 20 times by the army but the residents have shown a determination not to accept the dictates of a racist state. Maj. Gen. (res.) Doron Almog contradicts former minister Benny Begin's announcement that plan has been shelved, says he will continue preparing for implementation. 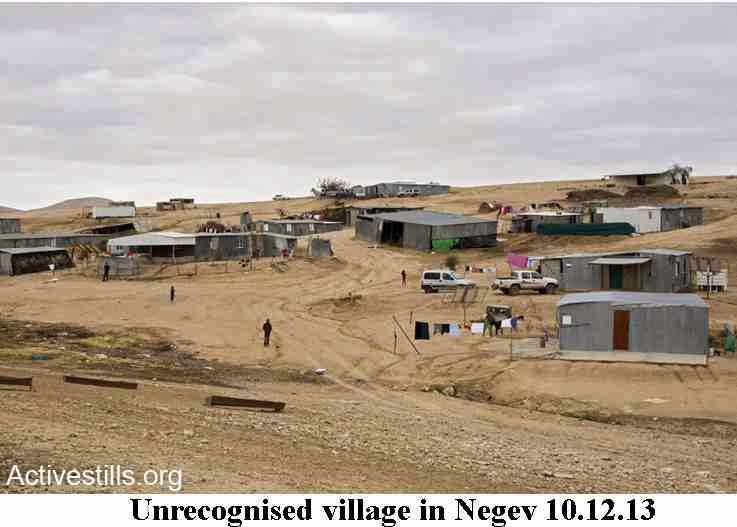 The Israeli official responsible for implementing a proposed law to relocate Bedouin settlement in the Negev says he has received no instructions to stop preparations, even though the minister in charge of the bill announced last week that it was being shelved. Former minister Benny Begin, who was responsible for advancing the so-called Prawer Law on the government’s behalf, told the media at a news conference last Thursday that Prime Minister Benjamin Netanyahu had accepted his recommendation to stop work on the law. But Maj. Gen. (res.) Doron Almog, Netanyahu’s point man for implementing the plan, told Haaretz on Monday that Begin can say whatever he wants, but he, Almog, will continue preparing for the law’s implementation. When asked whether this was also Netanyahu’s position, Almog said he was not acting on his own. 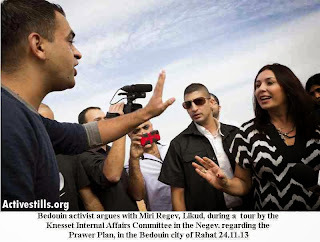 The chairwoman of the Knesset’s Interior and Environment Committee, MK Miri Regev (Likud), also announced Monday that her committee would continue to advance the Prawer bill despite Begin’s announcement to the contrary. Regev discussed the matter in the morning with the director general of the Prime Minister’s Office, Harel Locker, and also spoke with Housing and Construction Minister Uri Ariel, but neither asked her to shelve the bill, she said. 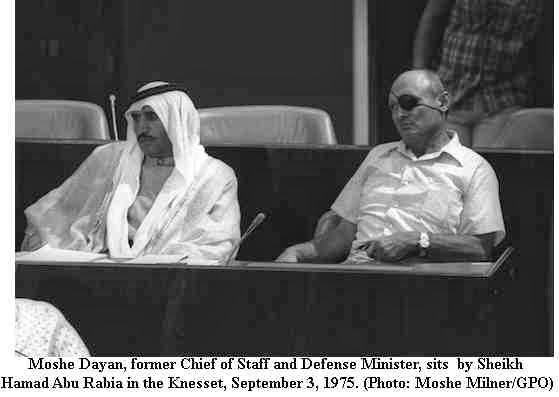 “The cabinet did not ask to pull the law,” Regev told the Interior Committee. However, Agriculture Minister Yair Shamir will apparently replace Begin as the minister in charge of implementing the plan. Shamir’s office said that while the minister had been involved in advancing the plan for months, he has not yet been formally appointed as Begin’s replacement. One of the main tactics now being considered is changing the wording of the bill to separate the issue of ownership claims to the land, which only affects a few thousand Bedouin, from the issue of recognising Bedouin towns. The latter portion of the bill would then be put on a fast track, sources involved in the legislative process said. “Netanyahu prefers making changes in the existing bill, which has already passed its first reading, to beginning from scratch with a new proposal, which would have to go through six votes in the cabinet and Knesset and two discussions in the Interior Committee, which are liable to drag out for months,” a Knesset source explained. Sources in the Bedouin community said they knew discussions of the bill were continuing, but until now had believed that in light of Begin’s statements, it would ultimately be withdrawn. 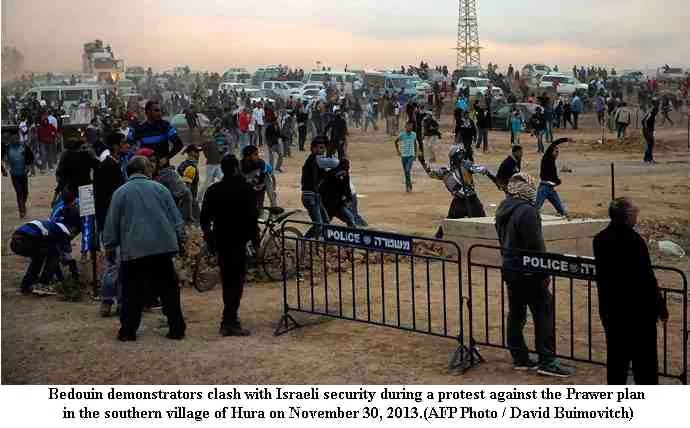 “We’re disappointed, but this only motivates us to continue the struggle,” Atia al-Assam, chairman of the regional council of the unrecognised Bedouin villages, told Haaretz. 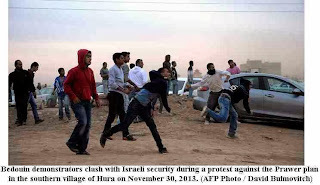 Adalah - the Legal Center for Arab Minority Rights in Israel was also surprised by the decision to continue advancing the law, saying this merely proved once again that it is being pushed through without consulting the Bedouin themselves. MK Nitzan Horowitz (Meretz) severely criticised the decision to continue advancing the law as well.